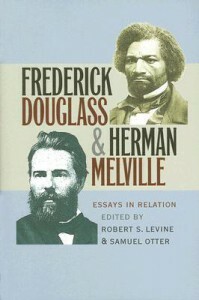 This is a book of scholarly essays relating the writings of Frederick Douglass and Herman Melville. I had never related these two writers to each other until I had a class about them this semester. I'm still not sure they relate as well as some scholars would like to think they do but both writers are excellent and fascinating. This type of book is really only for someone who wants to do academic research. The essays are not fun but they are enlightening. Plenty of subjects and thoughts I would never have come up with on my own are presented for consideration. Some fairly dense reading.